Web Profits, Australia’s largest independent digital growth consultancy, is happy to announce that they have been honoured with three awards at the inaugural SEMrush Australian Search Awards hosted on October 23, 2018 at the Sydney Opera House. 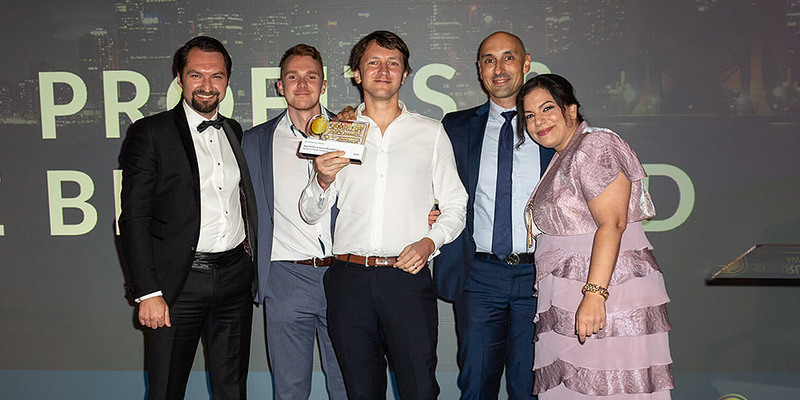 Web Profits is pleased to have awards won in more categories than any other participant for three distinct clients and campaigns, including: Best Use of Search – Finance (FIIG Securities), Best Integrated Campaign (Aussie Broadband), and Best Content Marketing (Bellamy’s Organic). Web Profits and Bellamy’s Organic were also recently recognised by the Australian Marketing Institute (AMI) with an AMI Marketing Excellence Award for Content Marketing. “Australia has transformed itself from an underdog to a powerful player in the digital marketing space. The talent and the level of professionalism we have seen in this market has been improving rapidly over the last few years. SEMrush was honoured to host our first Search Award ceremony in Australia, celebrate the success of the search community and inspire them to do an even greater job next year,” said Olga Andrienko, Head of Global Marketing at SEMrush. Web Profits believes there’s always a smarter and better way to do things. With over twelve years of experience helping companies in a wide range of industries, Web Profits is a full-service digital growth consultancy that partners with clients on innovative technical and outstanding creative initiatives that break through the noise and deliver results.